Tagging is an important part of a galvanizing order for many customers. 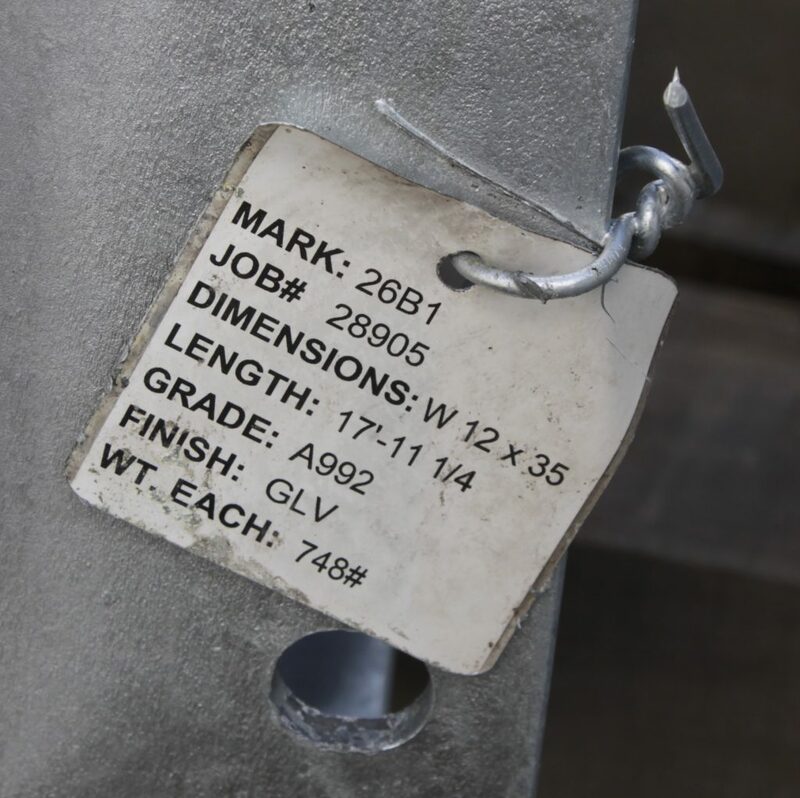 Fabricators often tag their material for identification later at a job site before sending it to be galvanized. 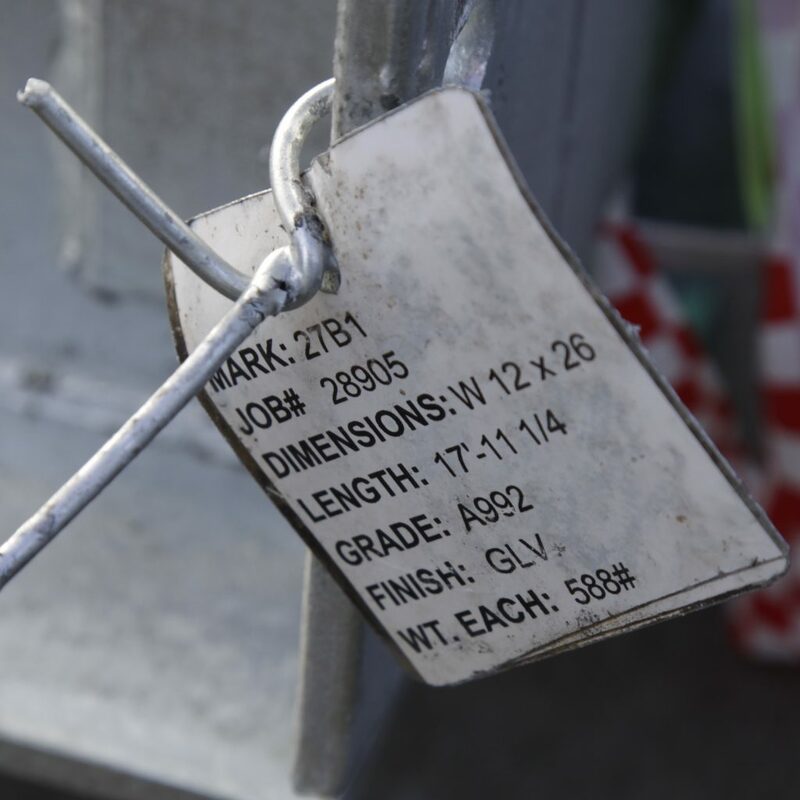 Other galvanizing customers use tags to identify material type or job number. 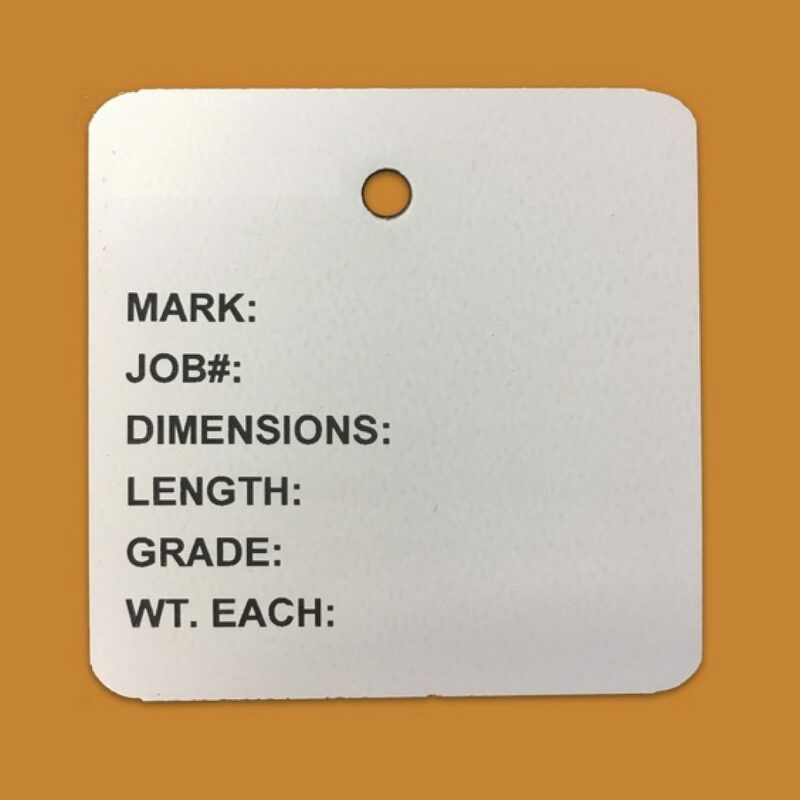 Embossed metal tags or paper tags are the most common. The problem is that most of those tags won’t survive the entire multi-step galvanizing process, or be legible afterward, unless they are removed during certain steps and reattached later. This slows down the galvanizing and adds the possibility of mistakes and confusion. Galvan Industries, Inc. has solved this problem for its customers with Kettle Tags®, a tagging system that stays on the material through all the steps in the process, including the acid dip and the molten zinc bath. This increases efficiency, eliminates unsafe handling and provides greater traceability with fewer errors for our customers. Kettle Tags cost less, too, about half the cost of other tagging systems used by our customers. To take advantage of the benefits of Galvan’s Kettle Tags, just send us your list of tags that need to be printed. We will print them and mail or ship them to you. You can attach them to your material when it is ready to be galvanized. Galvan’s Kettle Tags will be right where you put them when your order is delivered, with text and even barcodes clearly readable. To find out more about Kettle Tags, and other ways we make hot-dip galvanizing easier for our customers, email sales@galvan-ize.com or call Ben Kelly at 704-455-5102.